As formidable a piece of ironmongery as one would wish to encounter. In actual fact it is merely an instrument that measures the angle a heavenly body (star, planet, sun, moon) makes with the visible horizon. It derives it's name from the arc at the bottom which is one sixth of a circle. 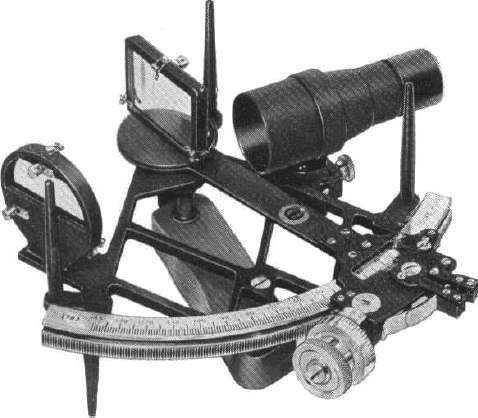 The principles of a sextant are easy to master but its use requires some skill and practice. Small errors make for large discrepancies in one's position. 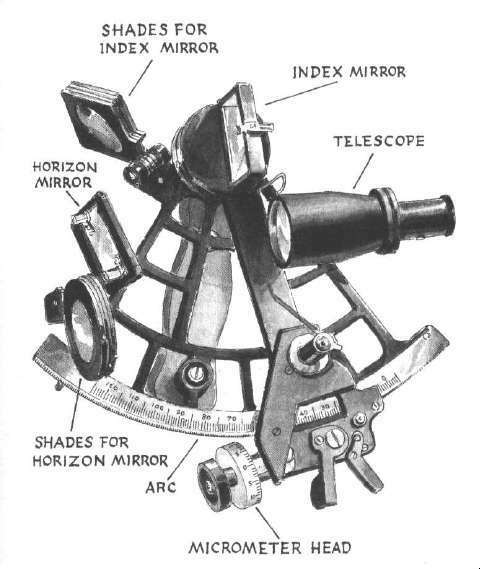 The sextant basically consists of a telescope, a half silvered horizontal mirror which the telescope "looks" through and a moving arm on which the index mirror is fixed. By manipulating this arm a star or other celestial body can be made to appear on the horizon. 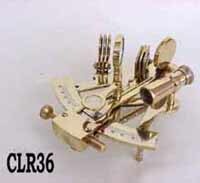 Accurate adjustments are made by means of a micrometer knob. The angle can then be read off the arc and micrometer. The shades are to use when the object being looked at is bright - such as the sun. The trick is to make the celestial body just brush the horizon - and herein lies somewhat of a knack. 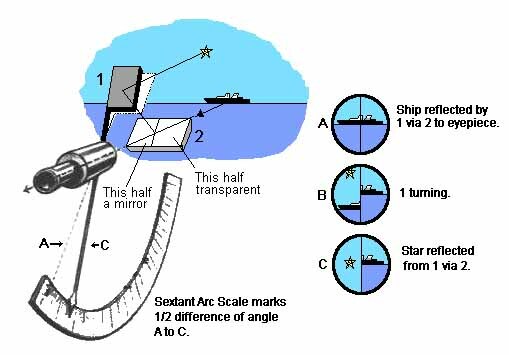 The sextant relies on the optical principle that if a ray of light is reflected from two mirrors in succession then the angle between the first and last direction of the ray is twice the angle between the mirrors. And this angle can then be read off the arc. 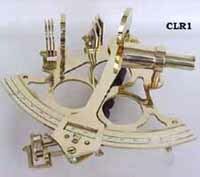 To use the sextant the telescope must be focused on the horizon. The celestial body to be shot, found and the sextant aimed at it. Bring the body down to the horizon by moving the arm along the arc and then clamp the arm. Using the micrometer knob make small adjustments while gently swaying the instrument slightly from side to side until the heavenly body just brushes the horizon. When this is achieved instantly make a note of the time, seconds first, then minutes and hours, then the name of the body and its observed altitude. Every second of time counts - an error of 4 seconds equates to an error of a nautical mile in the position. 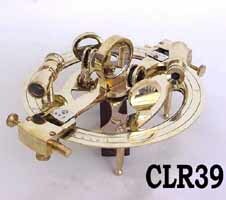 The sextant is subject to a number of errors and adjustments. To find the true altitude of a celestial body from the observed these must be allowed and adjusted for. Index error is an instrumental error. 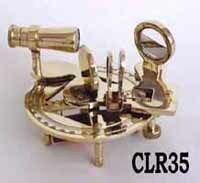 When looking through a sextant at the horizon the exact level horizon will seldom be seen to be at 0�. Sextant set at 0� - horizon split. Before every sextant session the Index error should be determined. Index error corrected for - horizon level. If the error is less than 0� it should be added to whatever reading is obtained - if more subtracted. Hint: remember Noah, if off the Ark - add, if on the Ark - take off. Dip is an adjustment made for the height of the eye above sea level. In practice this is usually taken as 0.98 times the square root of the height of the eye in metres above sea level multiplied by 3.28. 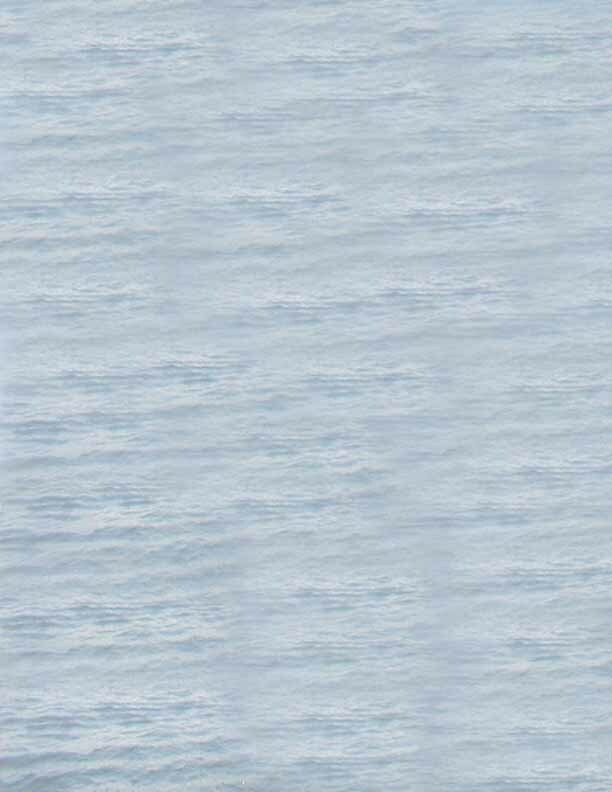 Refraction is extracted from the Nautical Almanac. It allows for the "bending" of light rays as they travel through successive layers of varying density air. Parallax corrections are needed if the observed body is a planet, the sun or the moon. From the Almanac. Semi-diameter correction is needed if the observed body is the sun or the moon. In this case either the top or bottom of the celestial object (known as upper or lower limb) is made to touch the horizon. To obtain the centre of the body this correction is applied - from the Almanac. Once all the corrections are applied we have the true altitude. And this subtracted from 90 gives us the zenithal distance to the sub-stellar point. Which means we know exactly how far we are from that elusive point on the earth which is at right angles to our observed celestial body! from 90�, a true zenith distance - ZX in the figure. Z, therefore, might be any point on a small circle of radius ZX and centre X. On the Earth the observer's position, z, lies on the circumference of a small circle, the centre of which is the heavenly body's geographical position. The radius of this circle is also the true zenith distance, zx, and since it is now measured on the surface of the Earth, it can be expressed in nautical miles. This small circle is known as a position circle. 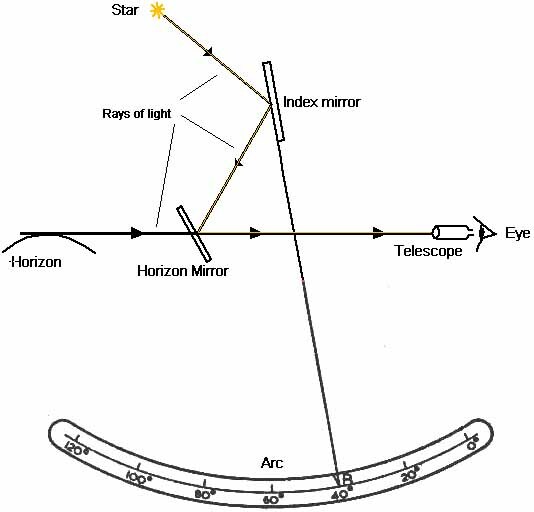 The astronomical position line is the small arc of this position circle on which the observer or navigator discovers his position to be. If zx is very small, some twenty miles or so, the geographical position can be plotted on the chart and the actual circle drawn without loss of accuracy, but in general zx will be large, of the order 1,000 miles, and the geographical position will seldom be on the chart that the navigator is using for keeping his reckoning. The part of the position circle that concerns the navigator must therefore be found by methods that confine the plotting they involve to the neighbourhood of the ship's actual position. The method in common use is the Marcq St. Hilaire or 'intercept' method.